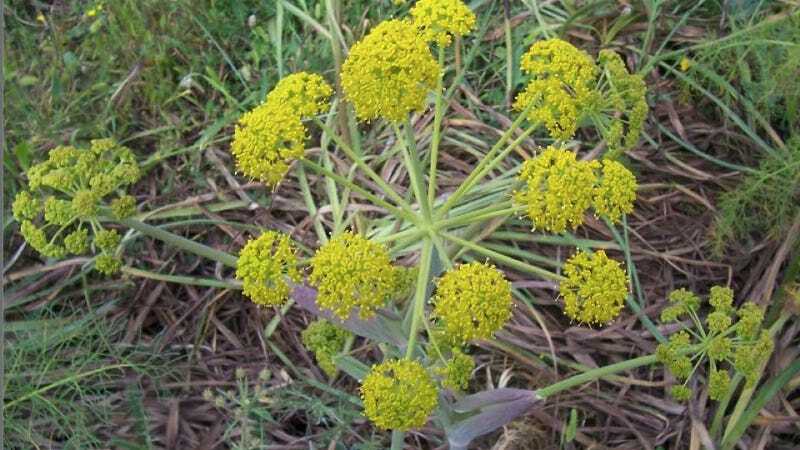 The ancient Greeks called the thapsia garganica plant "deadly carrot," because their camels would eat it and quickly die. The Roman emperor Nero mixed it with frankincense to treat bruises. Until the early 20th century it was used in a plaster to treat rheumatism—the side effects, however, were barely worth the cure. But what happens when you deploy thaspia on a molecular level? You get a teeny tiny, very precise, cancer-killing grenade. It's an entirely new approach that has its creators throwing around the word "cure." Thapsigargin, the active ingredient in the thapsia plant, does a fantastic job of killing tumor cells by destroying their calcium balance. But it will do that to any cell that crosses its path. So Genspera, a biotech company in San Antonio, Texas, found a way to strictly guide and control the drug through the bloodstream until it finds its target. "That's why we came up with the concept of producing a molecular grenade, so it activates only in the tumor," said Craig Dionne, GenSpera's president, CEO and director. That's no easy task. One of the reasons many cancer drugs cause such terrible side effects is because they leak into the bloodstream on their way to the tumor. The bone marrow is ravaged, hair falls out, and the liver and cardiovascular system can be damaged. "We have none of that nonsense," Dionne says. The key to the cancer grenade's precise explosive effect is its "pin," a 5-amino-acid-long peptide that can be pulled only by an enzyme, called PSMA, found on the surface of blood vessels that feed cancer cells. Only when the peptide comes into contact with PMSA will it release the thapsigargin. Other chemotherapy drugs slow the growth of cancer, and doctors consider them a success if they prolong a patient's life for just a few months. "We're not trying to slow the growth," Dionne told me. "We're dropping a neutron bomb in the neighborhood. Everything in the neighborhood dies and goes away." Traditional chemotherapy is also designed to kill fast-growing cells, i.e. cells that are dividing out of control like cancer tumor cells do. The problem is that cancer stem cells, which continuously give rise to new tumors, actually divide very slowly, which can lead to a relapse. In animal studies, Genspera's drug killed all the cancer cells plus the stem cells, leaving nothing behind that could seed more cancer growth—hence the talk of a cure. "It looks like what we've seen in animals will be replicated in humans—that's what we expect to see," Dionne said. Prostate cancer cells also grow slowly, so they can escape cancer treatments focused on killing fast-growing cells. Genspera's next drug, which will be based on the same grenade technology, will target that disease. Also in the queue are brain and stomach cancer. Here's hoping they bomb the crap out of all of them.